“You can be beautiful, even more beautiful than before.” This is the seductive promise of Dr. Nzinga’s clinic, where anyone can get their lips thinned, their skin bleached, and their nose narrowed. A complete demelanization will liberate you from the confines of being born in a black body—if you can afford it. In this near-future Southern city plagued by fenced-in ghettos and police violence, more and more residents are turning to this experimental medical procedure. Like any father, our narrator just wants the best for his son, Nigel, a biracial boy whose black birthmark is getting bigger by the day. The darker Nigel becomes, the more frightened his father feels. But how far will he go to protect his son? And will he destroy his family in the process? This electrifying, hallucinatory novel is at once a keen satire of surviving racism in America and a profoundly moving family story. At its center is a father who just wants his son to thrive in a broken world. 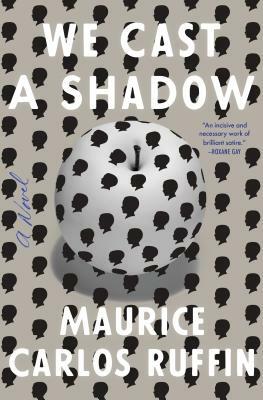 Maurice Carlos Ruffin’s work evokes the clear vision of Ralph Ellison, the dizzying menace of Franz Kafka, and the crackling prose of Vladimir Nabokov. We Cast a Shadow fearlessly shines a light on the violence we inherit, and on the desperate things we do for the ones we love. Maurice Carlos Ruffin has been a recipient of an Iowa Review Award in fiction and a winner of the William Faulkner–William Wisdom Creative Writing Competition for Novel-in-Progress. His work has appeared in Virginia Quarterly Review, AGNI, The Kenyon Review, The Massachusetts Review, and Unfathomable City: A New Orleans Atlas. A native of New Orleans, Ruffin is a graduate of the University of New Orleans Creative Writing Workshop and a member of the Peauxdunque Writers Alliance.